These days it&apos;s as common to read about an e-commerce company opening up a brick-and-mortar shop as it is to read about a brick-and-mortar company launching e-commerce. And there doesn&apos;t yet seem to be any rule that says when or how to do it. Online-native eyewear maker Warby Parker opened a physical store within three years, while Nastygal took a little longer. The latest site to open up a physical shop? La Garçonne, which is sort of like a quieter, more indie Net-a-Porter, and has been online since 2005. In addition to an in-house line which it launched in 2011, the New York-based site sells a curated (yes, overused word, but accurate here) selection from brands like Proenza Schouler, Repetto, A.P.C., Band of Outsiders, Rachel Comey and more, that fits into its "elegantly understated" aesthetic. And come May 1, it will be bringing that aesthetic to a storefront at 465 Greenwich Street, reports Tribeca Citizen. Our requests for confirmation were not immediately returned, though the retailer did re-tweet the story. While La Garçonne&apos;s ascent has not been as loud as that of some of its online competitors like Net-a-Porter and Shopbop, it seems to have a loyal customer base of people who feel the site&apos;s streamlined aesthetic is in line with their own -- many of whom likely live in New York and will be Tribeca-bound the day the store&apos;s doors open. Online resale is still hot, but this OG company sees opportunities offline, too. 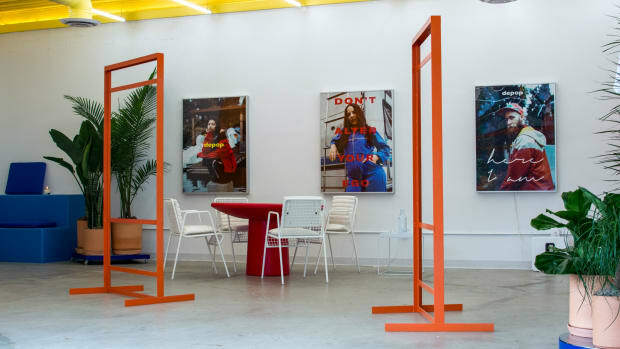 The Gen Z-beloved online marketplace is opening experiential flagships as community hubs, content studios and marketing vehicles.